TransLink's next step toward clean technology is a battery-powered bus that can be recharged in five minutes. Here's how it works. Some time next year, TransLink is planning to roll out four new battery-powered buses that can be recharged in five minutes. Here's how the new technology works. 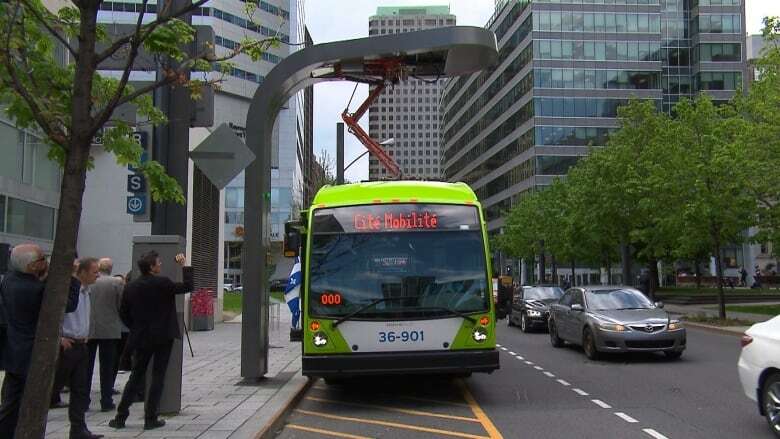 Normal trolleybus lines carry a constant stream of power at a level that does not vary, according to Josipa Petrunic, executive director and CEO for the Canadian Urban Transit Research & Innovation Consortium, which led the development of the new buses. The four new prototype buses, which will begin service next year on the No. 100 route connecting South Vancouver, Burnaby and New Westminister, will instead rely on a variable power system to charge up their batteries. "In this scenario, the buses are going to pull into the station. 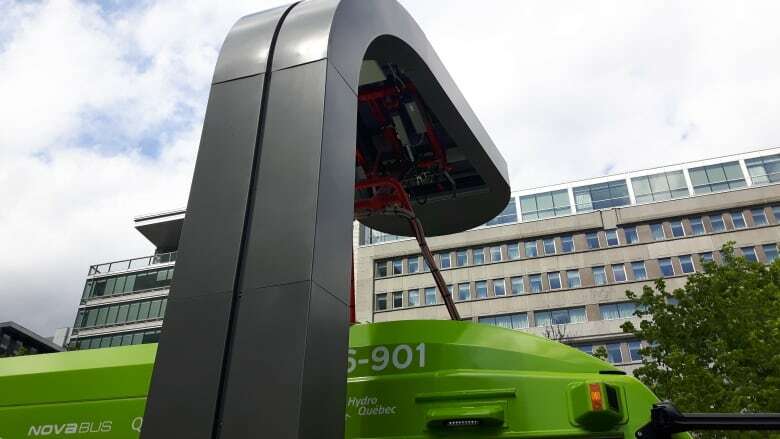 There is an overhead robotic arm that comes down from the charger and connects to the roof of the bus while people are loading on and off," explained Petrunic at the preview of the buses last Thursday in Vancouver. Petrunic says the new charging stations will allow the buses to power up in minutes by giving operators the option for ramping up the power at peak times. "Right now you can get those charging systems at 150 kilowatts, 300 kilowatts. We are pushing it up to 450 kilowatts. We want to go to 600, maybe one megawatt in the future," she said. "What that allows people to do at TransLink is say, 'Oh, the bus is running behind schedule. Throttle the charger up.' Let it deliver power at 450 or 600 kilowatts so it can drive the charging time down to a less than a minute." "But if there is more time in the schedule — it is not a peak period — we want to reduce our electricity costs so we can throttle it down to 300 kilowatts or 150 kilowatts, and save the battery." Excessive fast charging can cause the battery to heat up, which can shorten its lifespan. The reason this fast-charging system works is because in simple terms, charging a battery is basically a matter of three things: time, power and capacity. The more power you put into the battery, the faster it charges. How long it takes to fully charge depends on the batteries' total power capacity, measured in kilowatt hours (kWh). To calculate charging time (in hours) you simply need to divide the battery's capacity in kilowatt hours by the charging power in kilowatts. Charging systems for electric cars like the Nissan Leaf (which might have a 20 kWh battery capacity) or various Tesla models (which have up 100 kWh battery capacity) range from thee kilowatts for a household system to up to 120 kilowatts for fast-charging stations. The new buses will have a range of over 200 kilometres on a full charge, but will only need a partial charge to cover the 15 kilometres between the two charging stations at the Marpole Bus Loop and the 22nd Street SkyTrain Station. 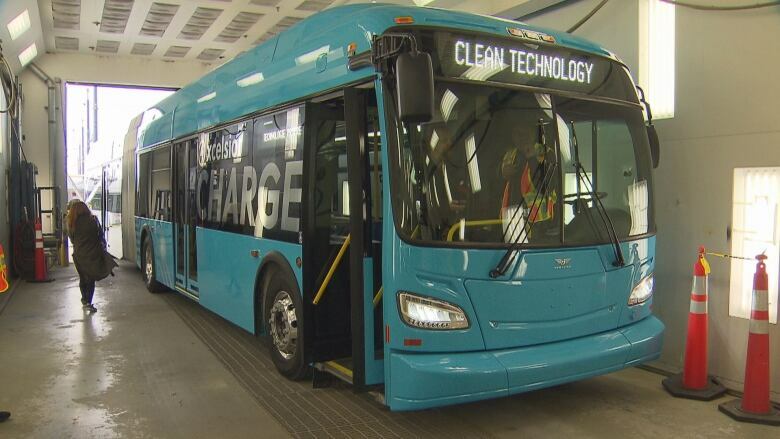 And much like electric or hybrid vehicles, the buses will have a regenerative braking system that will help charge up the lithium batteries anytime the driver hits the brakes. Is B.C. ready for the coming electric vehicle revolution? Thousands of battery-powered electric buses have been in use around the world since 2009, but one of the things that will make the charging system used by TransLink unique is that it is the first to use a standardized system shared by two different bus companies, New Flyer and Nova Bus.